/ Modified may 24, 2018 8:52 a.m. The steel frame of Caterpillar's new Tucson headquarters was recently finished. The company agreed not to include a cafeteria in its facility in its incentive deal with Rio Nuevo. Board Chair Fletcher McCusker said that will help area restaurants draw lunchtime business. The sound of construction is prevalent near the intersection of Cushing Street and Avenida del Convento. 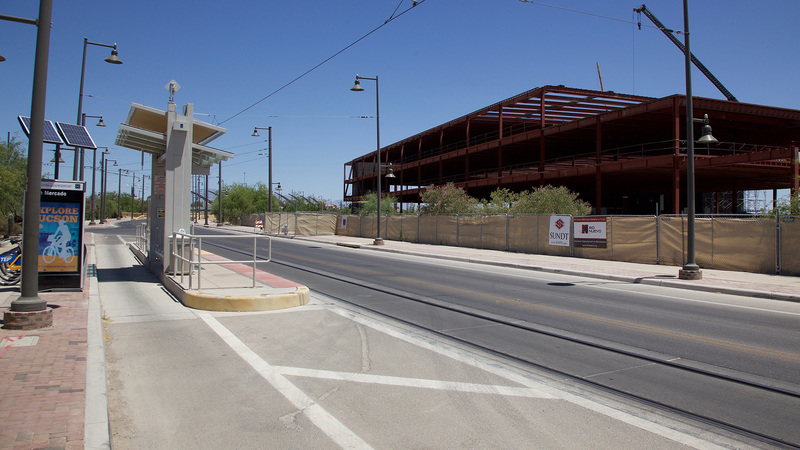 The steel frame of what will soon be Caterpillar's new Tucson mining center sits southeast of the intersection. The building will be home to 1,000 employees, and estimates say the project will have an economic impact of $600 million. Economic incentives offered by the Rio Nuevo Multipurpose District were part of the effort to bring Caterpillar to Tucson. "We've launched 21 projects since 2013 and created $300 million of construction downtown," said Rio Nuevo Board Chair Fletcher McCusker. Rio Nuevo is a tax increment financing (TIF) district. The board was created by a voter-approved initiative in 1999. 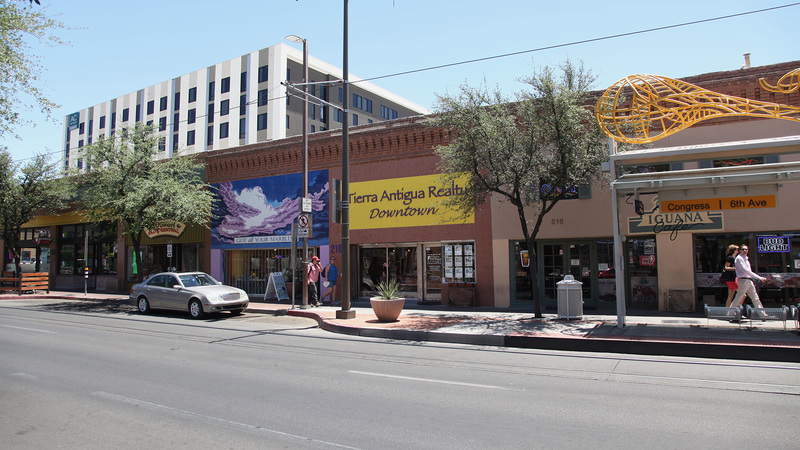 Starting in 2000, a portion of state sales tax was allocated to a fund managed by a city-run Rio Nuevo board with the mission of revitalizing downtown Tucson. The city-run version of the board spent more than three times what it was allocated with little to show for the money. The state then took control of Rio Nuevo and appointed McCusker to be the chairman of the new board in 2012. McCusker's early efforts revolved around showing others that the new board was not the same as the last. "There's the 1999 to 2009 version of Rio Nuevo, which literally mismanaged $250 million," he said. "Then there's the 2013 to 2018 version, which has spent barely 30 million dollars." McCusker said he and other board members considered changing the name, but decided against it because they believed the board's new name would perpetually be followed by "formerly Rio Nuevo." Once the district began having success, the members decided it wanted to seek an extension beyond its original 2025 expiration date. That led the board to present their case to any lawmaker who would take them up on it. "I think our credibility created an environment that they believe we deserve the right to finish our work," McCusker said. Among those lawmakers was state Representative Mark Finchem, a Republican whose district stretches from Oro Valley to Maricopa. Finchem has been an opponent of TIF districts. "I think that while they are a tool in the state's toolbox, I think that they are a dangerous thing in the hands of municipal and county governments," said Finchem. Despite that opposition, Finchem decided to sponsor an extension for Rio Nuevo. He said the fact that Rio Nuevo already existed played a role. "We want it to be successful, and we want it to close down in an orderly manner that makes the taxpayers whole and generates as much tax revenue as possible," he said. Finchem said the success also played a role in his decision. 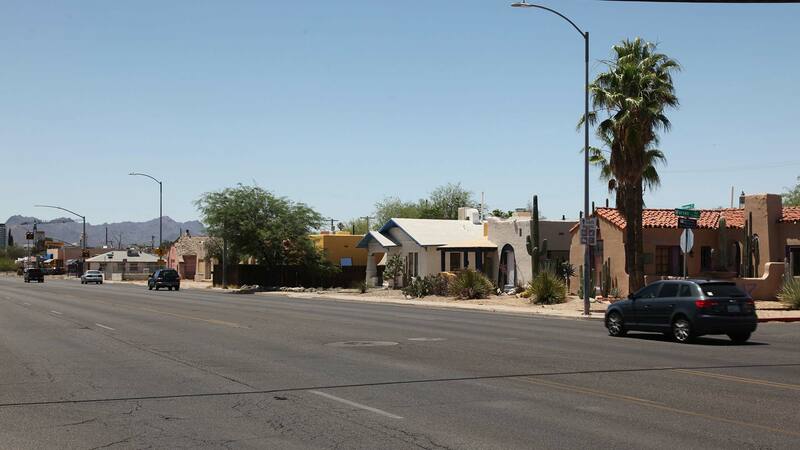 Finchem is a real estate broker, and his job made him reconsider his thoughts on downtown Tucson and Rio Nuevo. "One day I noticed that the real estate company that I have my license with, Tierra Antigua Realty, opened an office in downtown Tucson," he said. Tierra Antigua's downtown office sits across Congress Street from the Ronstadt Transit Center. The new AC Hotel by Marriott building, a Rio Nuevo project, can be seen in the background. That office sits on Congress Street amid a variety of Rio Nuevo projects, including the AC Hotel by Marriott, the Arizona Hotel Apartments and the site of a mixed-use tower that will be built by Kansas City developer JE Dunn. "[Dunn is] looking at two stories of retail, five levels of parking, eight levels of Class A office," said Rio Nuevo Chair McCusker. "That's the most important project we've ever done and still on the drawing board." Finchem attributes Rio Nuevo's success so far to the fact that the state took control of the board and installed McCusker and other members of Tucson's business community to the board. "Now we have a district that can be much more dispassionate and focus more on how do we grow tax generation," Finchem said. "Rio Nuevo has got two missions: One of those is to take brownfields and urban blight and renovate that, and the other is to generate more tax revenue." Another reason Finchem supported the extension is to give the district time to finish projects in which it is currently involved. The Mercado Annex sits southeast of the Mercado San Augustin. The shipping container village is across the street from Caterpillar's future headquarters, which can be seen in the background. One such project sits across the street from what will soon be Caterpillar's Tucson headquarters. The Mercado San Agustin Annex is a series of retrofitted shipping containers turned into a village for businesses. "It's remarkable in terms of the common areas — the landscaping, the desert landscape that they brought in," said McCusker. "So, you're going to have new restaurants, new shops, a stage area now for small concerts on what used to be vacant land." The project cost its developer $12 million, about one-third of what the AC Marriott cost, and is made up of 38 former shipping containers. The project excites McCusker because he thinks it helps Tucson keep some edge. "There's a motto that I can't repeat on the radio, but we like the idea of keeping Tucson a little edgy, Austin-like, Portland-like, and that includes this mix of kind of unusual opportunities," he said. The same can be said of an upcoming project that is still in the works. One of the few projects planned that is not along the streetcar route is along Broadway Boulevard between Euclid Avenue and Country Club Road. Municipal governments have bought up many properties along the stretch in preparation for a long-planned road widening project. "We will take charge of some 40 properties along Broadway, which we'll be rehabbing and hopefully converting to retail," said McCusker. 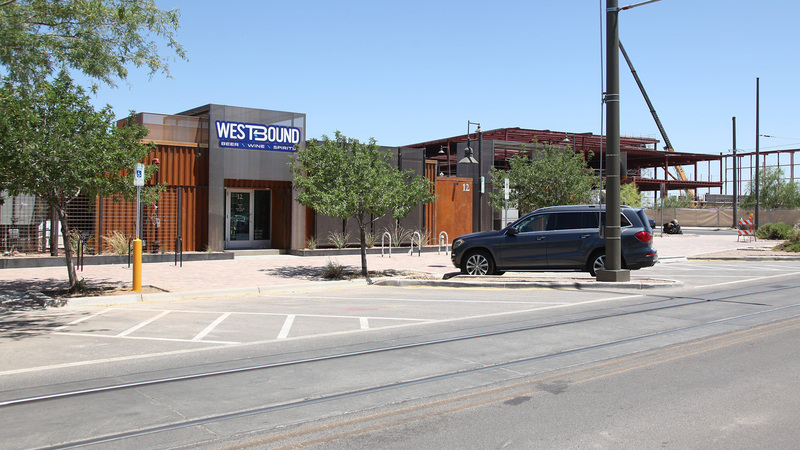 "[The extension] allows us to focus on some projects of scale that we haven't been able to touch, like the [Tucson Convention Center], like the west side [near the Mercado Annex] — of course we're now engaged on Broadway. So, these are pretty expensive projects that without the extension we wouldn't have been able to engage." The added time for Rio Nuevo comes with some tradeoffs. "We are now obliged to go up to Phoenix and present to a joint committee of both the Senate and the House our projects," said McCusker. The extension also includes plans for how Rio Nuevo will end. "One of the things that I was very disappointed in was that Rio Nuevo did not have an exit strategy," said Rep. Finchem. The exit plan also included assurances that Rio Nuevo tenants will eventually have the option to buy the land their business is located on. "In the event that a property doesn't sell at the end of Rio Nuevo, that property will escheat, basically flow back to the state land trust," said Finchem. Finchem hopes that Rio Nuevo does not need all 17 years left on its lifespan. "I'd love to see Rio Nuevo come to an end within five to seven years," he said. "We gave them 10 years so that those agreements that they're in the midst of negotiating can be completed." McCusker sees the situation differently. He wants Rio Nuevo to keep working so long as there is land to improve in the 4-square-mile district, which stretches from the base of "A" Mountain to the edge of the Sunshine Mile. "Anything in there that's blighted, going to be demolished, vacant is in our target," he said. The fact that the extension spans well into what many would consider their retirement years does not bother McCusker. "[His fellow board members] reminded me I'd be in my mid 80s in 2035, but I think we're all kind of going to enjoy the ride for as long as we can." McCusker seems content to run Rio Nuevo until it runs out of land or time. An interactive Map of Rio Nuevo Projects built by district staff.